Summer's end is coming, and with it the start of a new school season—which means many of us are knee-deep in back-to-school shopping. For those seeking a cool-kid upgrade to fall-ready outerwear, the denim jacket is the ultimate staple, which is why you'll want to nab a piece from Beru Kids' soon-to-launch capsule with Levi's. 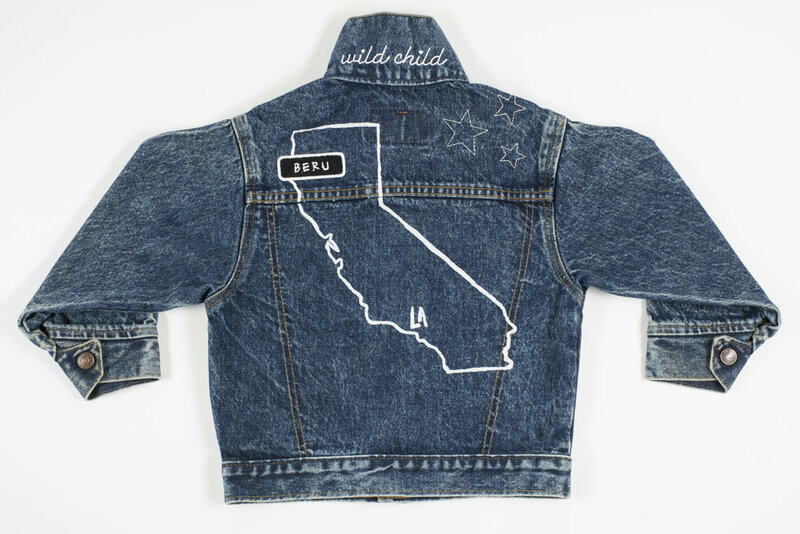 Landing online next Tuesday, August 22, the limited-edition range is comprised of pristine vintage and deadstock Levi's kids jackets ($120 to $130), all reworked in the sustainable LA label's Cali-inspired DIY aesthetic: think cheeky embroidery, patches, silkscreened outlines of the Golden State, and more rad touches. Founder Sofia Melograno and designer Roxanne Pedroza scoured Texas and California to unearth the goods, many of which still have their original orange tabs (a sign that they were made in the '60s for the denim brand's fashion line) and were made in the U.S. "We realized after finding such great quality vintage kids denim in bulk that this capsule could be a lot bigger than we originally anticipated," Melograno tells us. Melograno adds that the capsule's launch coincides with the 50th anniversary of Levi's iconic 1967 Type III trucker jacket, which grown-up denim devotees can score right for $385. Take a peek at the capsule collection above, then shop it online next Tuesday at Beru's website.